I have always loved cactus. When I got out of grad school at UNM 35 years ago and moved to Seattle I took the half dozen cactus I had in my dorm room with me. Within a couple of years they all died from mold due to the humidity despite having a grow light on them. Although I never tried growing cactus again in Seattle, I still collected a lot of books on cactus over the intervening years. When we moved back to New Mexico a couple years ago I discovered this wonderful book by Leo J. Chance that is without a doubt the best book on growing cactus and succulents in northern New Mexico I have seen. Some books, like The Cacti of the Untied States and Canada by Benson at 1,044 pages, are more thorough but they are also very dense and hard to wade through to get useful information. 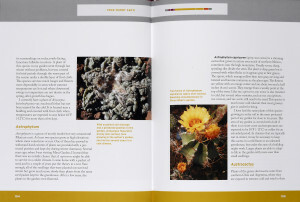 This book is very accessible and packed full of useful information for anyone interested in cacti and succulents. 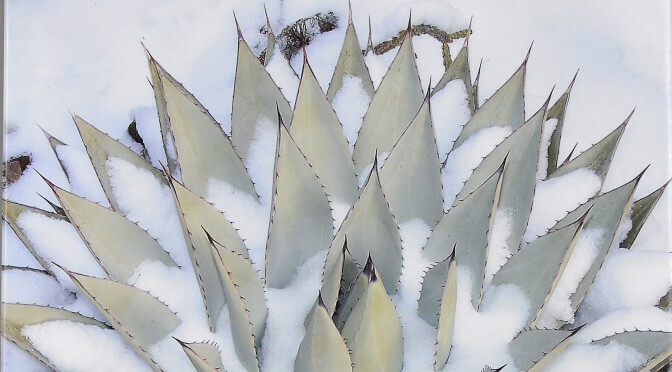 Chance begins by covering what factors determine hardiness and how to increase your success rate with cactus in cold climates. Not all cold climates or locations are the same and knowing what you can control is very useful. He covers microclimates, watering, drainage, soil types, soil amendments as well as how and where to plant. There is also an excellent chapter on propagating plants from seeds and cuttings. 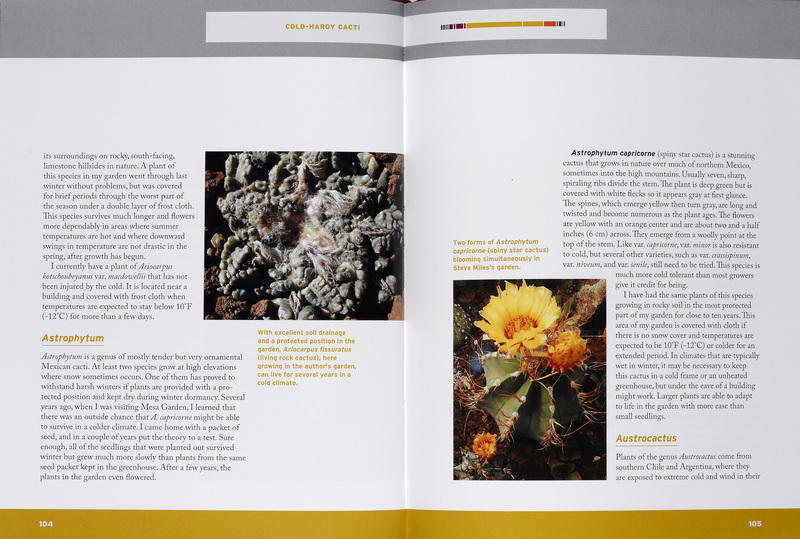 The meat of the book is the chapters on the individual species of cactus and succulents. 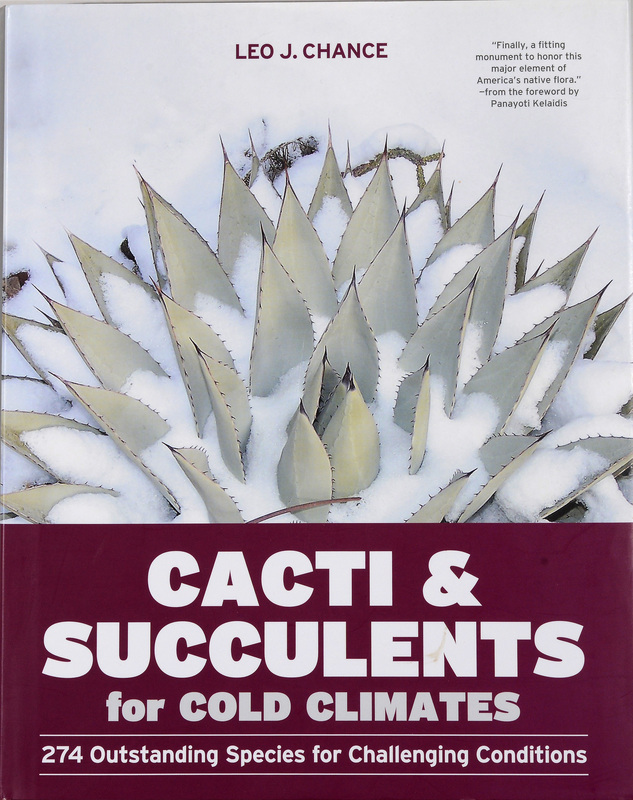 In these chapters Chance profiles 274 cactus and succulents that are proven to survive in USDA Zone 5 (-20⁰F or -28⁰C) gardens. First, he covers some general information about each genus followed by detailed descriptions of the individual species and hybrids. Each plant profile includes a general description along with information on the native range, growth rate and mature size, flower color and bloom time and specific recommendations on growing the species in cold climates. He also includes beautiful color photos of nearly every plant he discusses. At the end of the book there is a chapter on companion plants to use in your garden alongside your cactus and succulents. He also includes a nice list of sources for purchasing plants and a useful bibliography if you want to learn more. 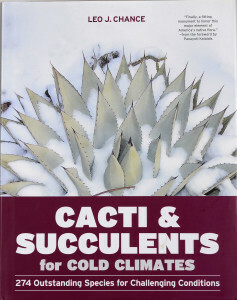 If you have even a passing interest in growing cactus and succulents in Sandoval County and can only buy one book on the topic I highly recommend this one as your best source of information.